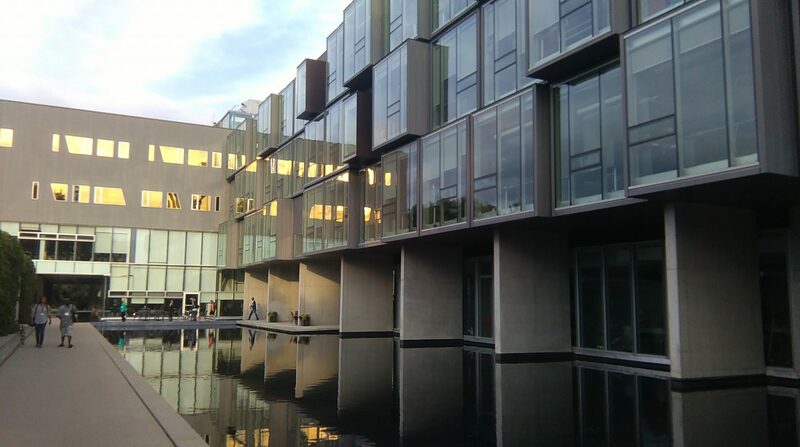 Earlier in the year I was delighted to receive an invitation to the annual Einstein Plus teachers' summer school at the Perimeter Institute in Waterloo, Ontario. A total of forty two teachers from across Canada, USA, Europe and Asia attended the event, comprising workshops, lectures and visits from the 6th to the 12th of July. Having registered and settled into our accommodation for the week, the first evening was given over to a delicious meal followed by a session of group 'ice breaker' tasks at the Hawk's Nest, Wilfrid Laurier University - one of two universities in the city of Waterloo. 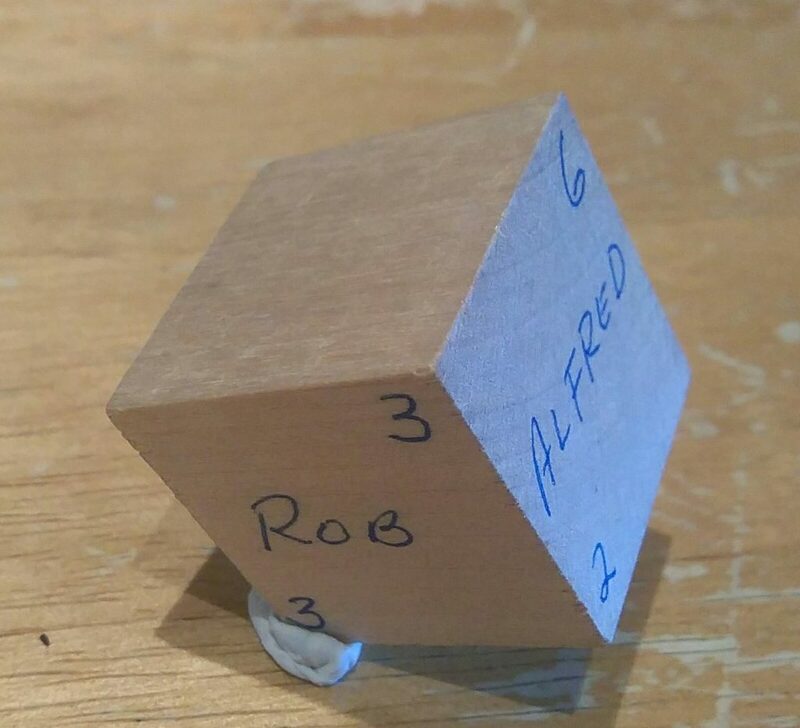 One of the tasks was on the 'Process of Science' and involved the use of some small wooden cubes. Each of five of the faces carried a name and two numbers as shown in the images below. 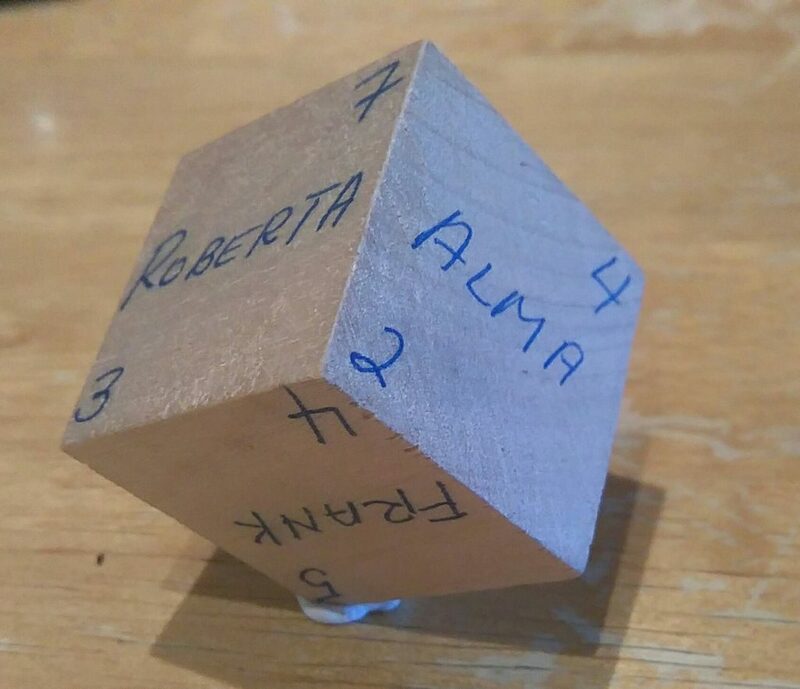 Groups were asked to make observations, try to identify relationships and then predict what could appear on the blank face of the cube. Each group was able to complete all of these steps, but interestingly no two groups came up with exactly the same solution. All of the suggestions given were equally valid, given the evidence on which they had been based. This task made an excellent introduction to the idea of scientific modelling, a theme which would be returned to throughout the week.